An amazing sight on the International Space Station is making the rounds on the Internet and social media. 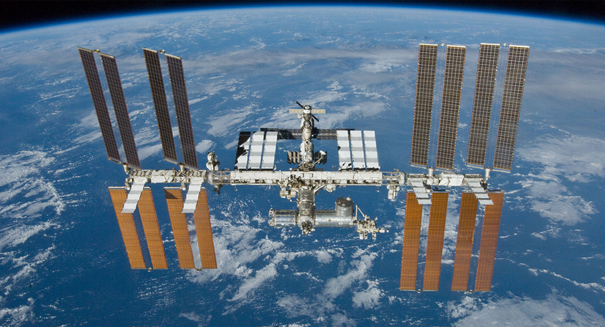 Something absolutely mind-blowing happened on the International Space Station recently, and fortunately, video captured it all. Researchers on the ISS were able to catch the rare moment when blue lightning filled a storm cloud far below, and you can watch the video below. Blue flashes are rare to see from the ground, as they typically happen high in the sky above the thunderstorms. Researchers pointed a special camera at the clouds in order to better study them, and they were rewarded with some amazing footage. The results were provided to the National Space Institute in Denmark, which is making them public. These massive blue flashes of lightning are believed to happen at around 18 kilometers above the ground. One flash spanned 40 kilometers in length.